David Kidd is the managing partner of Ohio Vedic Homes, LLC. 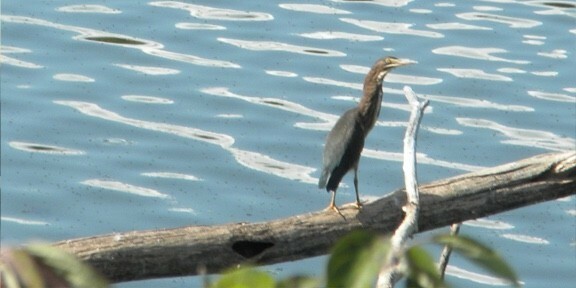 Since 2006, his responsibilities have included management of the development company, the lake property, and sales of lots. A Canton native, environmentalist Kidd is best known across Ohio as the “Treeman.” Founder of the American Free Tree Program in 1989, Kidd started community volunteer projects in 86 of Ohio’s 88 counties that planted over 9 million tree seedlings, and then spread his project to other states bringing his total trees planted to 12 million trees. At its peak, his ‘free tree’ program in Ohio involved over 1500 community groups and schools and over 1.5 million student and adult volunteers. 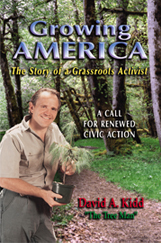 Kidd is author of Growing America: The Story of a Grassroots Activist. Kidd’s book offers a handbook for all community activists and volunteers. In it he prescribes the approach of pro-activism instead of re-activism. Kidd’s educational background includes a BBA in Finance from Kent State University and has completed work towards a Masters Degree from Atlantic University. His past business background includes the syndication and management of more than a score of partnerships in real estate and oil and gas. He has also started several non-profit organizations, including the Vegetarian Club of Canton in 1986 and Wildlife Habitat Conservancy in 2006, an Ohio land trust, and travels to lecture on taking responsibility for the environment. ​​Kidd has also started the Canton Transcendental Meditation Center in 1974 with his wife, after learning TM for stress management in 1972 and going to Europe to train as a teacher. Kidd currently offers TM training to veterans through grants from Resurrecting Lives Foundation. A veteran of the U.S. Army, Kidd served 2-tours (19-months) in Vietnam. Kidd is the father of three daughters. Mr. Ederer is a managing member of Selle Generator Works, an historic commercial complex and Hickory, a Great Place to Live along the Towpath Trail. He has served on the board of the Home Builders Association and currently serves on the boards of the University Park Development Corporation, First United Methodist Church of Cuyahoga Falls, and the Ohio & Erie Canalway Coalition. Ederer is a member of The Congress for the New Urbanism and recently earned his Certified Green Professional designation from the National Association of Home Builders. Architecture at Lake O’ Springs. successful operations. Work includes many facets of both residential and commercial construction. Our activity is “neighborhood scale” and “context sensitive” which means projects are designed to fit in and enhance their surroundings. ECI exemplifies the free enterprise system in its dealings with the trades, suppliers, and customers. Relationships are built on trust, performance, and suitability for particular types of work. A mindset of continual improvement in materials, techniques, and operations is of utmost importance. In this way of thinking we are pleased to be associated with Ohio Vedic Homes at Lake O’Springs Village. The mission of Ederer Construction, Inc. is to deliver customer satisfaction on a sustainable basis. Our customers can expect project realization on time and on budget. Additionally, we will recommend and implement best practices for efficient, healthy, and economical improvements to fulfill our customers’ long term plans.